Picture yourself as a business owner, who, from a marketing perspective has their strategy all worked out. You’ve workshopped to find your target market, even developed some different buyer personas. However, you and your team have barely taken to social media but know it’s time to take the leap. The struggle is real…to digitally connect and engage with your potential consumers. Whether this is a challenge your organization faces — or you’re just interested in marketing — we’d like to take a deeper gut and analytical dive into each platform to help you target and engage different types of personas within your market. To support some of our assumptions, we’ll integrate some of Sprout Social’s — featured on our list of Top 6 Digital Marketing Tools You Should Use In 2019 — findings included on their infographic; highlighting demographic usage data from six of the most popular social media platforms. Let’s take a realistic look now at how you could leverage this data with a ‘real-world’ scenario. If you’re only here for numbers, feel free to scroll through and browse Sprout’s great social stats. Let’s take Pivot – a new furniture subscription service who hasn’t launched on social media. With Pivot, people only pay a small monthly fee for each item they choose. There are no loans or interest rates and, if choosing to buy out furnishings, all the item subscription payments paid will count towards the buyout price. When someone moves, they just swap their items with new items instead of dealing with costly moving fees or leaving the furniture behind. While we don’t have access behind the scenes at Pivot — and can’t glance at their target market or customer personas — we can make assumptions regarding their demographics and we can identify some potential niches on each social platform. Starting with Facebook, it’s difficult to pinpoint a specific persona that you should target on this platform because of its large user base. Facebook’s user base is nearly double the next closest, it’s the case of having too many options. 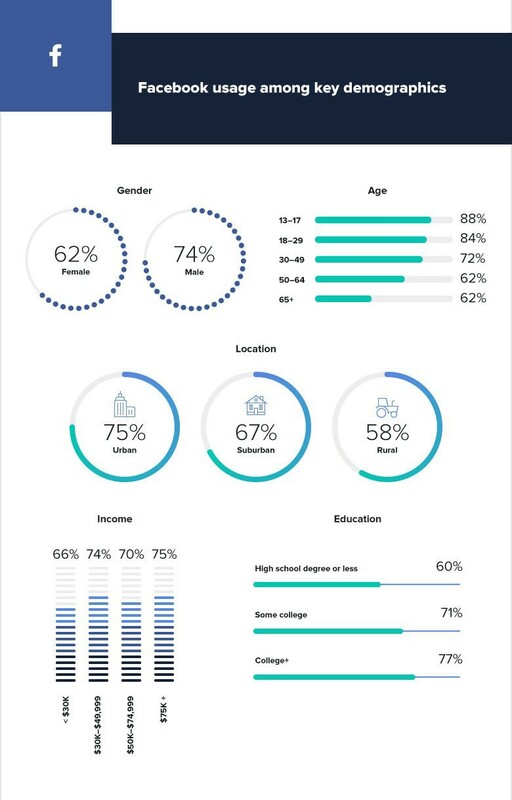 Regardless, it’s worth noting that 75% of urban dwellers use Facebook and even the majority of those who live in rural communities use the social platform as well. In terms of age groups, teenagers in a conversation like to say they are “too cool” for Facebook, however 88% of those aged 13 – 17 are Facebook users. On the other end of the spectrum, those aged 65+ have become connected as 62% are users as well. It’s advisable Pivot use Facebook to publish quality content that applies to their entire consumer base. This is the safe route, though organic content on Facebook is relatively unnoticed on users’ feeds and playing a conservative hand would allow Pivot to focus their targeting efforts into different channels. 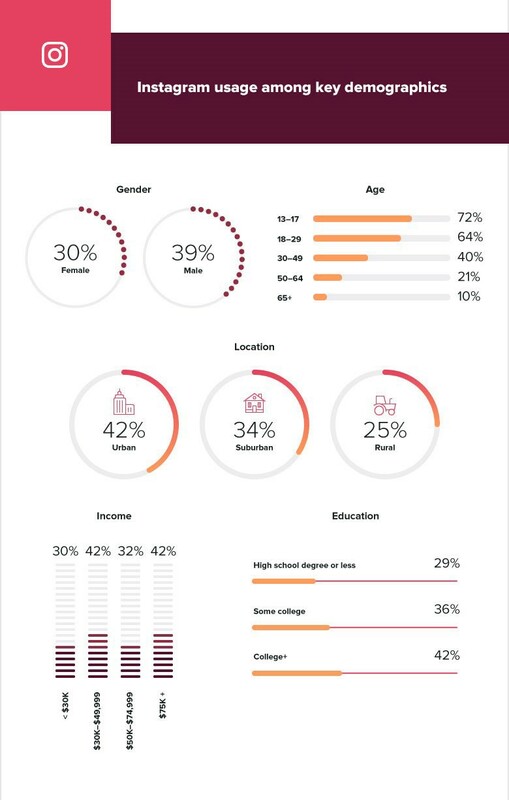 With the second largest user base of these six social media channels, Instagram’s visually engaging platform has the highest percentage of post-secondary graduates of 42%, behind LinkedIn and Facebook — and the highest percentage of urban dwellers at 42% — excluding Facebook. After putting some of the pieces together, a likely Instagram customer persona for Pivot is that of a young professional who is a recent graduate living in a condo or apartment. Let’s build this persona out for you. 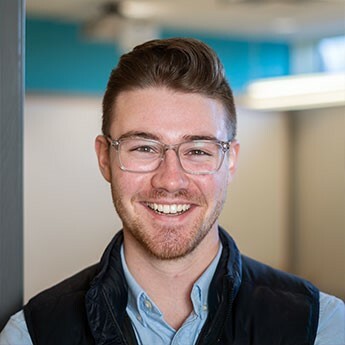 Take a moment to picture Harry, a recent university graduate who is now working as a Business Development Manager at a start-up downtown. He just signed a lease on an apartment with his friend Jordan — another new graduate — and both are moving out of their childhood homes for the first time. These two lads are tight on cash and while they’re bringing their bedroom setups from home, they don’t have a solution to furnishing their empty kitchen and main living areas. Cue Pivot’s entrance: problem solved. Twitter’s user profile is similar to Facebook; there’s a sense that the demographics are evenly spread across the board. However, Twitter has a significantly smaller user base than Facebook and has yet to see adoption from older demographics as only 8% of those aged +65 are Twitter users. Unfortunately, developing specific personas for Pivot to target on Twitter is difficult. However, there is an opportunity for Pivot to stir up awareness of their brand using this channel. Unrelated to the demographics, but Twitter is a place of interaction and friendly banter between brands. Since Pivot’s business model is innovative compared to the other firms like Ikea or The Brick, Pivot could reach out to these larger organizations on Twitter to create new conversations. Since Pivot has yet to launch on social media, we don’t have a clear idea as to who they are as a brand. Therefore, we’re unsure as to whether or not this tactic would be a fit with their brand and overall strategy, however, it’s an idea to keep in mind. The main differentiating factor with LinkedIn is their professional landscape and ability to directly reach decision-makers in organizations. 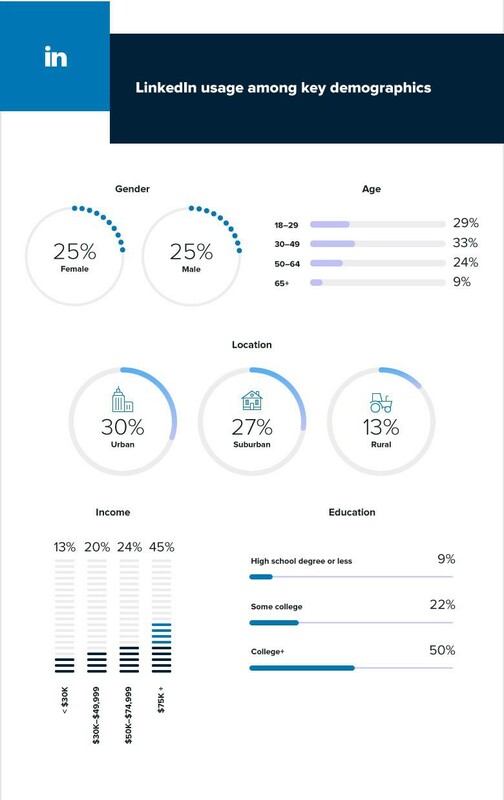 LinkedIn boasts an educated user base with 50% of post-secondary graduates as users, which is also relevant to the fact that 45% of those who earn +$75,000/year are on LinkedIn too. 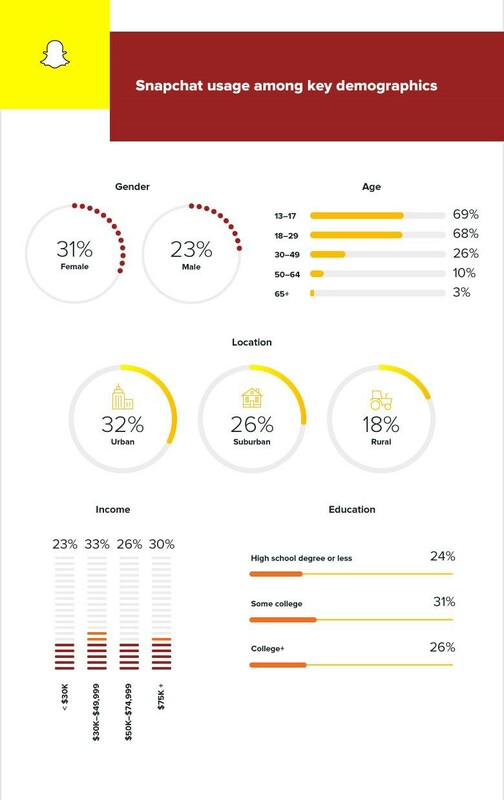 A unique number that jumped out is in terms of gender, 25% of both males and females are on LinkedIn. This is the only social platform where gender is perfectly balanced, excluding Twitter where it is nearly balanced as well. Unlike the other social media platforms, the persona on LinkedIn would be that of a business. XYZ Partners is a small business looking to refresh their office space. With limited capital allocated for office renovations and furniture, XYZ’s president needs to find an innovative solution to refresh his office. While scrolling through his LinkedIn feed one afternoon, he saw Pivot’s ad for “Free Office Chairs for a Month!” and the rest was history. Pinterest is a playground for inspiration. Females are clearly the primary users, with 41 per cent of the world’s females on the platform. An interesting stat about Pinterest, when compared to the other social platforms, is that 40 per cent of adults who have graduated post-secondary use Pinterest. While it is expected many post-secondary grads to use LinkedIn, Facebook, and Instagram, we didn’t predict there to be a significant amount of educated folk on this platform. There are a few personas that we could surmise that would work for Pinterest; let’s construct the profile of a young female college student. Enter Hailey, a college student entering her second year and is renting a room off campus for the first time. Currently, she is searching Pinterest for ideas to outfit her room for a reasonable cost. Since Hailey is coming into her college town from elsewhere, she wants to travel light and not have to worry about hauling things like lamps or nightstands around. After coming across Pivot’s Pinterest board, she becomes intrigued by their designs and discovers that she can outfit her room for only $25/month. For the eight months she’s at school, that’s only $200 and she doesn’t have to worry about hauling the furniture around at all. Hailey is sold. Dominated by younger demographics, Snapchat is used by 69 per cent of those aged 13 – 17, and 68 per cent of 18 – 29-year-olds. Snapchat users are also more likely to be in urban and suburban environments compared to rural areas. A feature that is unique to younger demographics is that they have grown up with subscription-model companies and identify with being known as “thought-leaders.” While subscription business models have been around for a while, a business with this model is quite innovative. Let’s bring in Julia who is in Grade 11 and loves to be the first one to post about cool things on social media. Julia follows a few different influencers on Snapchat and sees one having their Pivot furniture delivered and setup. After following the storyline of the influencer, Julia finds the idea of Pivot super cool and shares it on her Snapchat story and mentions Pivot on her other social media accounts. The next day Julia is amazed by all the people “WOW’ed” by her findings and feels fulfilled. While Julia didn’t convert as a customer, she became an advocate for the brand and spread awareness of Pivot to her followers. Possibly, influencing her own parents to subscribe to Pivot for their home. Now, taking a step back and picturing yourself as a business owner once again, you can begin to understand how and which social platforms you should tackle. 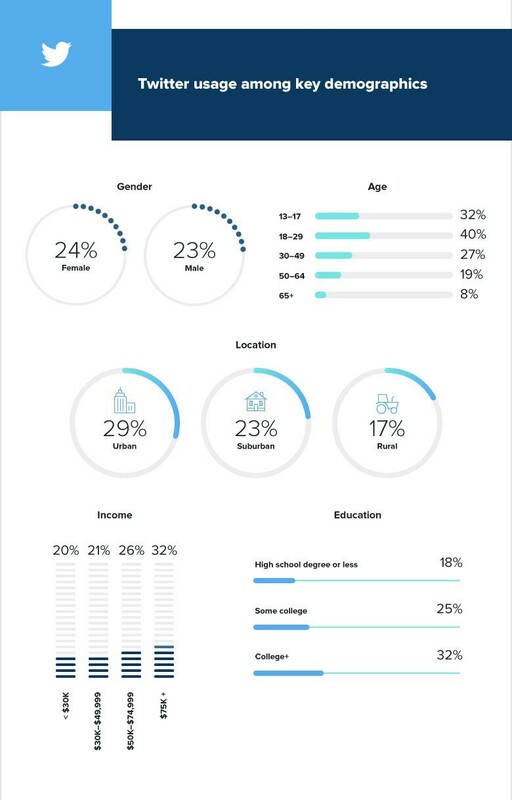 By leveraging these demographic usage data statistics, it allows you to identify where your target market is digitally located and primed for engagement. 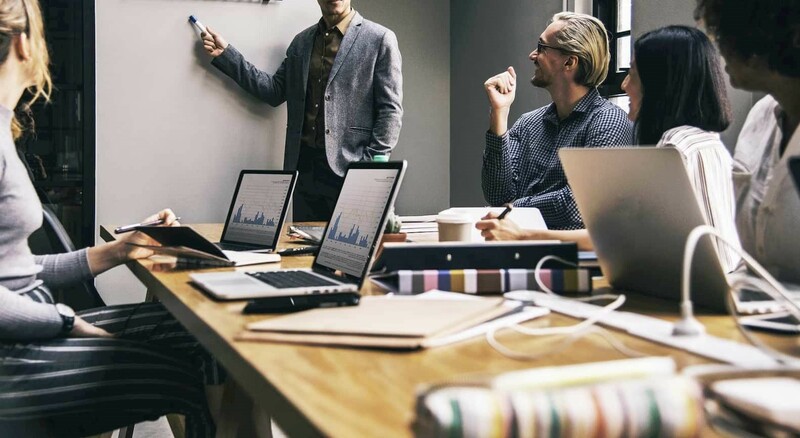 Through a holistic approach to your marketing strategy, you may find that not every social media platform is right for your organization, and that’s OK. However, it is important to understand that the digital world is always changing and maintaining relevance will take significant resources.